Silver Bracelets There are 83 products. 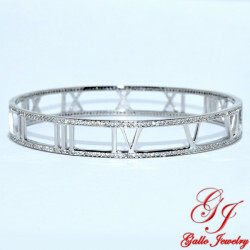 925 Sterling silver white gold plated. $250.00	$500.00 -50% Allow 2-3 Days for Processing. Thank You! $230.00	$460.00 -50% Allow 2-3 Days for Processing. Thank You! 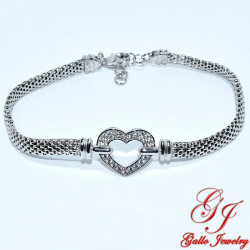 925 Sterling silver white gold plated. Thirty-one round crystal stones. $180.00	$360.00 -50% Allow 3 Days for Processing. Thank You! 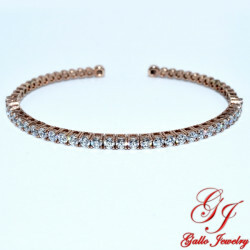 925 Sterling silver rose gold plated. Thirty-one round crystal stones. Allow 3 Days for Processing. Thank You! $380.00	Allow 2-3 Days for Processing. Thank You! 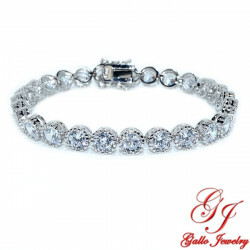 Sterling Silver Bonded with Platinum Total Weight: 4.90ct Length: 7.25 inches. $250.00	This item is on Backorder. Please, Allow 7-10 Days from the Date of Order, for the Process. Thank You! $270.00	This item is on Backorder. Please, Allow 7-10 Days from the Date of Order, for the Process. Thank You!